When looking at quilts from the 1930s, I often see fabrics that look similar to these samples--in design and color. I usually think of the fabrics of the next decade, the 1940s, as darker versions of these colors and designs that are not as 'sweet'. 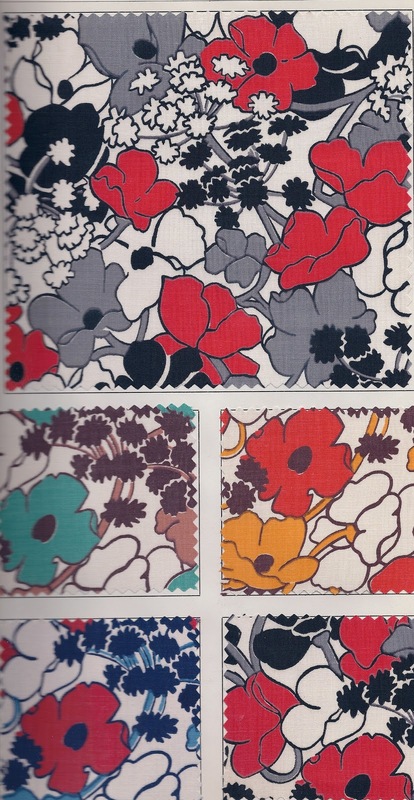 That spring (1939), there were both the traditional Depression Era fabrics and some 'moving forward' offerings. See second scan. Plus numerous bold plaids and stripes. The flowered one is great and I love those great plaids.